I’m done. I’m retiring. I am getting out of the MMA world. I’ve been thinking about this long and hard for a while. I’m gonna get back to my roots and I’m going to start coaching at All Saints. I coached a little bit of high school last year at Oak Ridge, but I’m making the move over to All Saints. I’m going to start coaching there, start doing those kinds of things. One of the things that’s nice is these last seven months, being home, spending time with the kids, not worrying about myself, what I need to do. I was walking around at 200 for three weeks, I was just living the life, I go, ‘Do we really want to do this?’ I know that I’m more happy to do it, but do we want to do this? Do we want to go through the grind that I used to do. Be gone for long periods of time, put my family second and do those kinds of things? Right now I can’t say that. For 20 years of my life, I’ve been at the grind of mental, physical, trying to keep yourself in tip-top shape, and you know what, what I’m doing right now is I’m training some of the guys at my gym and I’m gonna miss sparring and stuff like that. But since I’m training guys, I spar with them twice a month, so I still get sparring, I still get to work hands, I still get to do things that I enjoy. It’s like the best of both worlds for me. 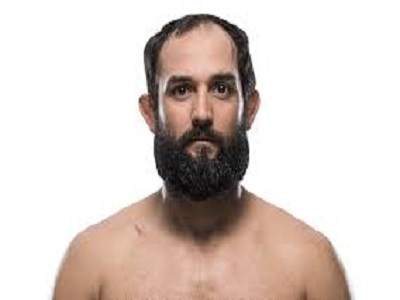 He has accomplished a lot during his tenure in the UFC including his welterweight championship reign. Good luck in your retirement Johny and we wish you well.